Pat Symonds insists that he hasn’t retired and is still deciding on what direction his career will take, but he concedes that he is not looking for a job with another F1 team. 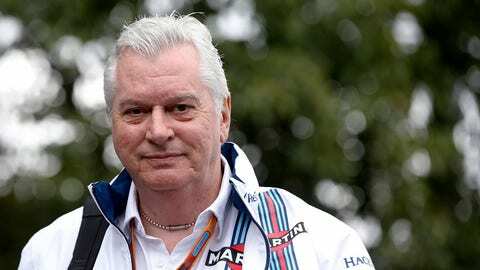 The former Benetton and Renault man left his role as chief technical officer of Williams on Dec. 31st, after three years with the Grove outfit. Symonds, who has maintained his own consultancy business alongside his F1 duties, says he has a number of offers. “I’ve spent January looking around at what possibilities there might be,” he said. “I’m on holiday in February and during that time I’ll decide on some of the things I might do, and then in March I’ll start doing them.